Discover how to grow fresh herbs or flowers on your countertop year around without having a dirty garden mess. A container, grow light and a few plants are all you need to have fresh, flavorful greens or colorful flowers at your fingertips. Read on to learn how to grow plants at home using the AeroGrow technology, how different Aerogarden models work, and discover if there are cheaper alternatives available that will produce the same results or better! What Does It Take To Grow Plants? Aerogarden pods are mini versions of a hydroponic garden, and I have found them to be an excellent way to learn about hydroponics. Plants grow without soil and have their roots submerged in water for their entire lifespan. It’s a product that’s ideal for those who have no outdoor space but still want to enjoy fresh, homegrown herbs, salad greens or fresh flowers. As a certified Master Gardener, I have seen a trend in recent years towards all types of hydroponic gardening. Including the indoor version that these aerogarden pods promote. Both large and small scale hydroponic gardening is the ideal method of gardening for those who have no land space, poor soil or who just want to enjoy fresh food year round. 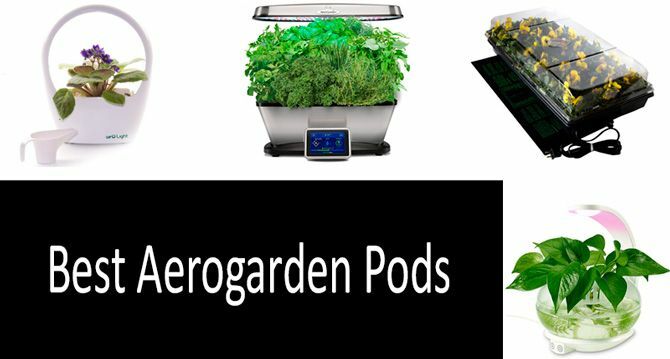 There are a few styles of aerogarden pods to select from, read on to discover which one will be right for you. The container is referred to as a ‘pod’ and is a one-piece unit that is small enough to sit on a kitchen countertop. The bottom pad houses all the electrical components for the unit and features an easy-to-use front control panel. The center is the reservoir that holds the water, plants and water aeration components. The top is an adjustable height LED grow light that will provide the plants with all the light needed for proper plant growth and development. This simple model of aerogarden pods provides all that you will need to grow three plants. The unit comes with Genovese Basil, Curly Parsley, and Dill seeds, plus 3 ounces of nutrients that will provide enough nutrition for the plants for one growing season. The LED light in the unit is a high-performance, full-spectrum light that will maximize photosynthesis and promote natural growth and abundant harvest. The easy-to-use control panel will automatically turn lights on and off and reminds you when to add nutrients. It comes in four different colors, so it can coordinate with any home decor. My experience suggests that this simple model is ok for growing small quantities of fresh herbs as an indoor hobby. If you only need a sprig of fresh basil, etc, occasionally, this unit will meet your need. The aerator in this unit is prone to clog after a few months of continuous use, but the problem is easily corrected with a thorough cleaning. This model gets two-thumbs up from me as it can grow enough food for a meal. Enjoy fresh grape tomatoes and oregano in all your homemade Italian recipes with this hydroponic aerogarden system. Large enough to grow seven different plants, enough for a fresh salad, yet small enough to fit on your kitchen counter. This model is called ‘average’, but it’s an advanced model that features a full spectrum 30 watts LED grow light and interactive LCD front control panel. I found all components to be easily accessed and produce easy to harvest. Just plant the seeds, plug the unit in and it will do all the work for you, including turning the LED lights on and off and reminding you when it’s time to add water and nutrients. The average model comes with Genovese Basil, Thai Basil, Thyme, Mint, Curly Parsley, Chives and Dill seeds, but I suggest replacing some of those seeds with grape tomato, spinach and oregano seeds for an Italian aerogarden. A 3-ounce bottle of nutrients also comes with the model and will provide all the nutrition the plants will need for one growing season. This model is affordable, rarely clogs and I find it ideal for serious hobby gardeners. Colors include black and red. The sophisticated model of the aerogarden pod will grow more plants and provide more produce than the previous two models. Slightly larger in size and growing space, this model can grow up to nine different plants at once. This number of plants will allow you to grow all the ingredients of a fresh garden salad right on your kitchen countertop. The premise and components for all the growing pods are essentially the same - a bottom control pad, water reservoir to grow plants in and an overhead grow light. 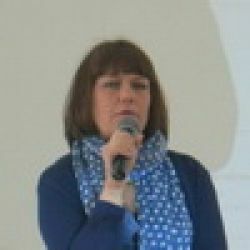 As the model go up in size and price, so will the produce production. I found this model easy to use and very productive. It has a 24 inch extendable overhead grow lamp that has a full spectrum, 45 watts LED lighting system. LED lighting remains cool and will not burn plants. The easy-to-use front control panel is fully interactive and tells you when to add water and nutrients. It also turns the grow light on and off as needed, so it takes a lot of the guesswork out of hydroponic gardening. The exterior is stainless steel and comes in red and platinum colors. In my experience, this is an excellent model for beginners who want to learn about hydroponic gardening on a large scale and enjoy fresh food while they learn. The sophisticated model comes with a starting seed kit and a 3-ounce bottle of nutrients. The seeds include Genovese Basil (x2), Thai Basil, Curly Parsley, Italian Parsley, Thyme, Chives Dill and Mint. But I would grow produce for a fresh green salad by substituting some of the herbs with arugula, lettuce, and spinach. The aeration system rarely clogs on this model, but I recommend thoroughly cleaning it every few months. If investing $200 doesn’t seem like a good option, especially if you are a beginner and doesn’t know much about hydroponics, then consider buying the following alternatives that I cover below. They are cheaper but worth every dollar. I recommend the alternative devices for anyone who wish to try hydroponics and want to learn more about growing plants at home. Created for people who just want to give hydroponic growing a try, this is an inexpensive way to try this method of gardening. I personally recommend it to anyone- it’s attractive and has a couple other cool features that make it very much worth the nominal expense. Many people on my gift-giving list would love to receive this a gift. This smart planter is an attractive desktop design that will grow one plant. Complete with LED grow light in the overhead handle, a plant can be grown in a low-light office. The LED light also makes a great night light. The planter features and auto-mode for the light so it can be turned off and on automatically. This smart planter also features a USB port and can be operated by the electrical power of batteries. The removable containers make changing plants, water and/or soil very simple. These adjustable gooseneck grow lights are an upgraded version that produce ultra-bright light and reduces heat. These grow lights also use less power consumption while providing a high luminous efficiency and long service life. With 5 dimmable levels brightness, you can adjust lighting according to plant needs. Set the lamp to remain on for 3, 6, or 12 hours. The red and blue LED lights help plants to absorb much more energy for chlorophyll synthesis and promote faster germination. The flexible, three-head design allows you to position the grow lamp so the light will be directed exactly where it’s needed. I recommend it for free-standing planters grouped together and have found it ideal for use on trays of plant seedlings. Environmentally friend LED light panel that features 225 high quality LED beads: 165 red (620-630nm) and 60 blue (460-470nm). Widely used for indoor gardening, flower shows, pot and container gardening, greenhouse lighting, farming, and other large-scale gardening endeavors. I found this light panel is great to use when growing several plants indoors. I recommend this as an ideal way to start your own garden seeds. Save money and promote sustainable living by using this germination station that features a UL listed heat bottom to go under the tray and plastic top for ideal humidity control. Keep those tender seedlings at just the right growing temperature with this affordable heat mat. Heat mat comes in a range of sizes that range from 9 inches up to 48 inches. This heat mat warms the root area to increase the survival success rate of seedlings, transplants, and cuttings. I recommend it to anyone who starts their garden seed indoors. I recommend this self-watering system for potted plants for people on the go. Frequent vacationers and those who are away from home extended periods of time would do their houseplant a favor by investing in the automated drip irrigation system. The pump can be set on a 30-day timer so you won’t have to worry about your houseplants in your absence. I found it easy to install in less and it operates on batteries or USB power. Transparent pot allows you to see what is going on below and above the water line. The attached LED light emits a combination of red and blue rays which not only illuminate the indoor space but is ideal lighting for growing several plants. Orchids, catnip, tomato, plumeria, juniper, rosemary, and African violets will thrive in this transparent cachepot. I recommend it for use in any indoor space for both attractive lighting and plant growing. This Planter Kit is vertically designed so won’t need much of a space (requires only 4 sq ft) and would be an ideal solution for indoor/outdoor gardening on a patio, balcony, or roof top. The kit includes five stackable gardening pots, twenty-gallon reservoir, reinforced lid, access cap, submersible pump, plumbing, four 2-gallon bags of growing medium, one quart of nutrients and a user guide. Using hydroponic technology you can grow up to 20 different plants and herbs in one unit. Consumers all shared their tips on how to “upgrade” those units to incorporate even more plants. I recommend it for growing tomatoes, cucumbers, peppers, and herbs. Consumers also suggested growing strawberries, lettuce, and kale. Back to the Roots is a mini home aquaponic ecosystem that would serve as a great gift for children, teachers, foodies, and amateur gardening lovers alike. It actually already comes “ready to gift” in a beautiful packaging, so you won’t have to break a sweat searching for a suitable wrap-up. The Kit includes everything you need to start growing plants: organic microgreen seeds, d-klor and zym-bac (that remove chlorine from water, maintain healthy ammonia for fish), growstones, fish food and coupon. All you have to do before getting started is pick up your new finned friend! The aquaponic works because a fish produces nutrient-rich waste which is then taken by the roots of your growing plants. The plants in turn clean the water and keep the fish happy! I recommend growing all sorts of herbs in this system, like lettuce, spinach, kale, parsley, dill, and fennel. Plants grown hydroponically will need specially formulated products to keep them fed and growing strong. I recommend using the starter bottle of liquid nutrients that come with the aerogarden pods for complete plant nutrition. Start any garden with healthy seeds or plants. Then incorporate the proper nutrition into the soil or water so it will be readily available for the plant roots to uptake. I always tell my clients to feed the soil and it will feed the plants. When using an aerogarden pod, the water must be fed in order to grow healthy, strong plants. A 50-50 soil and compost mixture is ideal for plants grown in soil. Liquid plant food formulated for hydroponic gardens is a must for vigorous plant growth. Organic plant food will be better utilized by plants that any type of synthetic fertilizer. Look for products labeled as ‘organic’ and ‘non-GMO’ for best results. Can aerogarden plants be transplanted? Yes. After plants develop a strong root system, they can be transplanted into soil. Yes. Wash all components before re-using. Any small-growing herb, vegetable or flower. What are aerogarden sponges made from? What is in aerogarden pods? Which aerogarden is best for herbs? When to raise light in aerogarden? When to prune in aerogarden? When to switch to high growth in aerogarden? When to remove dome in aerogarden? When to add nutrients in aerogarden? When to add water in aerogarden? When to clean the aerogarden? I have found the pros outweigh the cons for using an aerogarden or similar alternatives. On the pro side, you can grow fresh herbs, vegetables and flowers year round. Another pro is that growing vegetation will help purify indoor. On the con side, the selected unit will take up valuable kitchen counter space. I recommend changing this con into a pro by using a different location for your aerogarden or alternative, like a laundry room or guest bathroom. One more con is the cost. The larger the unit, the more it will cost. I have found that growing plant hydroponically provides many benefits in addition to fresh food. Being able to garden during the cold winter months helps prevent SAD (Seasonal Affective Disorder), helps family members learn about food growing and helps clean indoor air. I recommend that you start with a small hydroponic gardening unit and work up to a large unit that will provide enough food for your family.